It has been reported that the loop diuretic frusemide can prevent exercise induced asthma, and that this effect may be due to the inhibition of mast cells in the airway. By using various mast cell secretagogues which increase intracellular calcium via different routes, this study attempted to elucidate the mechanism of the mast cell stabilizing action of frusemide. 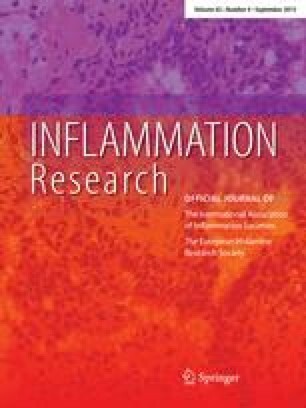 As well as confirming that immunologically induced histamine release from rat peritoneal mast cells was dose dependently inhibited by frusemide (10−3–10−5 M), the present study has extended the observation to histamine release induced by compound 48/80. The inhibitory potency was however less in the case of compound 48/80 induced release. Frusemide induced inhibition by the two secretagogues was decreased by drug preincubation. In contrast, histamine release induced by ionophore A23187 and thapsigargin was not inhibited by frusemide. The prototype antiallergic compound disodium cromoglycate (DSCG) demonstrated a similar specificity pattern against the various secretagogues. Another loop diuretic, bumetanide, did not show the same results as frusemide on rat peritoneal mast cell degranulation. Hence it is concluded that frusemide does not inhibit immunological activation of mast cells via its diuretic Na+/K+/Cl− co-transporter capacity. Instead, it protects mast cells in a similar manner to DSCG.